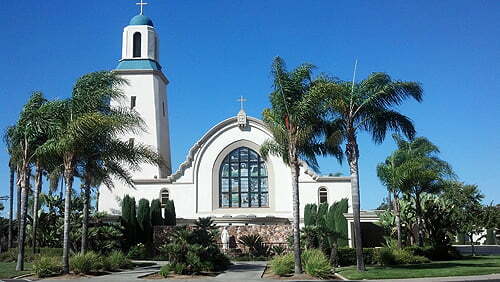 We are San Diego Stucco and Re-Stucco Contractors. 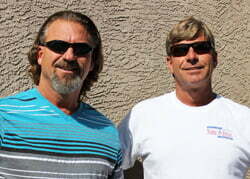 Blaine Nurse and Darren Nurse are brothers and were born and raised in San Diego County. Their company, Nurse Stucco Inc. has been proudly serving all San Diego communities as well as Riverside and Imperial Counties in Southern California for over 18 years, and Blaine and Darren both have over 35 years of trade experience in the stucco, lath, and plaster construction industry. Blaine and Darren Nurse first experience with Stuccoing was with their father when he started his company back in 1981 “Jerry L. Nurse Plastering”. In 1992 they formed a partnership with their father creating “Jerry L. Nurse and Sons Plastering”. After the death of their father they established their company as Nurse Stucco Inc. in the year 2000. Both Blaine and Darren are continuously active in their community, and Blaine Nurse is currently serving as Treasurer of Cornerstone Transitional Housing. Our staff at Nurse Stucco is a group of highly talented and experienced individuals with a wide range of hands on experience, and some have been serving us for as long as 18 years. We take pride in the way we treat our employees as it reflects unto our customers. Send us your contact info and we will give you a call back shortly. At Nurse Stucco it is our goal to provide 100% satisfaction for our customers, and we put our name on every job we do. At Nurse Stucco we set and consistently maintain the highest standards in the stucco construction industry… Consistently rated A+ by the BBB. Sorry to be late in letting you know what a fantastic job Mario did with the fog coating. You and your staff have been wonderful to work with. My neighbors are jealous of the stucco work. First of all, let me say that Darren is an absolute gentleman ! From the very beginning he was punctual, informative and extremely professional. His crew arrived as promised and did an amazing job of bringing our home’s exterior back to life. They were all courteous and very respectful of our home and yard as they performed, what has the potential of being, a very messy job. We couldn’t be happier with Nurse Stucco and would recommend them to everyone for your stucco needs ! Blaine was on top of it. His workmen were efficient and did a great job. They protected our plants and cleaned up everything. Blaine was honest, personable, and accommodating. Would highly recommend. Fantastic work. Not only did the repair get done correctly, you cannot even tell the work was done. Seamless texture matching to my original finish. Nurse Stucco was prompt in giving me an estimate. Mr. Darren Nurse was very helpful with suggestions and ideas, and answered all my questions. The work crew showed up on time, were polite; and did their work with excellent workmanship. The work was completed on time and did a great job in cleaning up. Nurse Stucco did an extraordinary job in transforming our home. Blaine and Darren took the time to educate us on the science of stucco. They were patient with me, I asked questions and they took the time to make sure I understood all phases of the job. They made me feel as if I was their only customer. We are happy with the finish job. The Nurse brothers have integrity, they are kind, courteous, patient, and they return text messages and phone calls. Thank you Nurse Stucco and crew for transforming our home. Had the pleasure of working with Blaine with some repairs with our home. Needed 2 bathroom windows installed but stucco was done incorrectly by previous owner. Quoted a price $75 less than another business which helped. We also needed some repair on our back wall due to adding a cement walkway. They worked closely with our artificial turf and cement guy to make sure all parties were on the same page. I wasnt home when it was done but when I got home, it was done perfectly. Turf/cement guys were happy and so were we. They even color matched other stucco work done to make it look even without even asking! It was a nice surprise!! Thanks Nurse Stucco and thanks in advance for working on my mom’s house too. Blaine and his team did a high quality and spectacular job on our stucco repair. We had quite a bit of moisture stucco damage on the side of our home. We appreciate the quick turn around from quote to finished job. Highly recommended for all of your stucco needs. Also appreciate the support Nurse Stucco has for our military as they knew I’m in the Navy, and discounted our price without us even inquiring about a military discount. From start to finish, a quality professional job with an outstanding finish. Personal and friendly service, Darren was always there to keep the job on track and me updated on the progress and plans. This was the third job they have done for me and each job was more than satisfactory and certainly a high quality product in the end. Nice to see there are honest and trustworthy craftsman out there in the trades. His price was so reasonable I didn’t feel the need to get competing bid. . I was more interested in a quality re-stucco which I certainly received. While Nurse Stucco partners with developers on new home and commercial projects, private homeowners, looking to add value to their new or existing home are our primary customer. Whether you are considering a remodel, retrofit or applying stucco to your new home, Nurse Stucco Inc. is your best solution. We look forward to the opportunity to work with you on your next stucco project. You can review our Injury and Illness Prevention Program here.